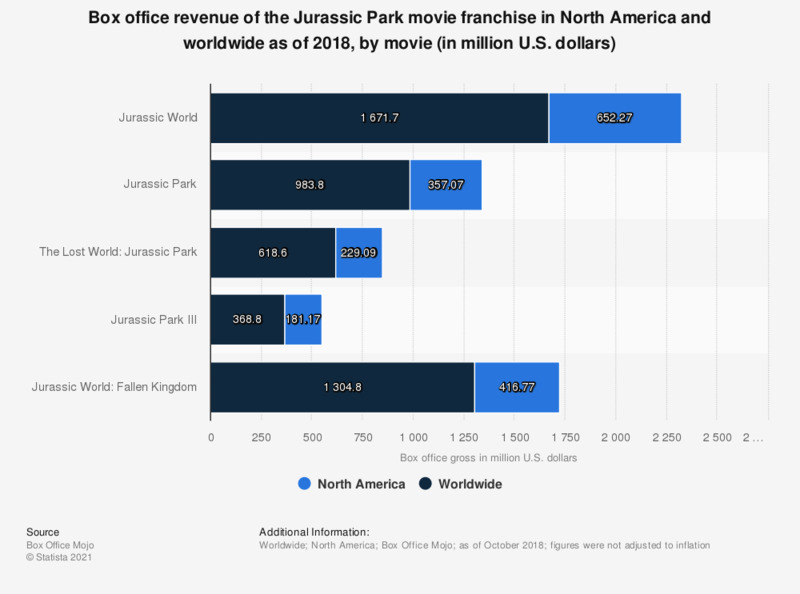 The statistic presents the box office revenue of the Jurassic Park movie series in North America and worldwide. As of October 2018, "Jurassic World", the fourth installment in the series released in 2015, reached a gross of 652.27 million U.S. dollars in 4,291 cinemas across North America. It is currently the fifth most successful movie of all time based on global box office revenue.